RELIEVING THE HOLLAND TUNNEL BOTTLENECK: When the Holland Tunnel was completed in 1927 and the Pulaski Skyway opened five years later, both provided modern, four-lane access between New York, Jersey City and Newark. Motorists were now able to travel from downtown Manhattan to Newark Airport in 20 minutes. By the 1950's, congestion along this route doubled the required commute time. In addition, because of its narrow four-lane, 40-foot-wide roadway, the skyway was closed to commercial vehicles. These factors necessitated construction of a new highway. In 1954, the New Jersey Turnpike Authority began construction of an 8.2-mile-long turnpike spur from EXIT 14 (Newark Airport) to the Holland Tunnel toll plaza in Jersey City. At a cost of $120 million, or approximately $14.6 million per mile, the Newark Bay-Hudson County Extension was the most expensive toll highway to date. The Newark Bay Extension was to have interchanges in Bayonne, in Jersey City, and at the Holland Tunnel. The high cost of the turnpike extension stemmed from the complex construction that was required. Starting at the turnpike mainline and continuing east into Bayonne, a $40 million, 9,560-foot-long steel-arch bridge with a main span of 1,270 feet was constructed, carrying the turnpike over Newark Bay. Much of the route had to be elevated over four railroad lines, then sunk to dip down under a fifth railroad line. Several long truss spans were constructed to carry the roadway without interruption over local streets. Finally, the turnpike extension sliced through part of an Army base, requiring the construction and reconstruction of buildings and utilities to insure uninterrupted use by the military. Part of the Newark Bay Extension between the turnpike mainline and EXIT 14A in Bayonne opened in April 1956. The entire turnpike extension was opened to traffic on September 15, 1956. Soon thereafter, the Newark Bay Extension was designated as part of Interstate 78, a highway that would not be completed through New Jersey and Pennsylvania until 1989. (Before its designation as an Interstate highway, the New Jersey State Highway Department designated the extension NJ 700N, using the suffix "N" to denote the Newark Bay Extension. The Newark Bay Extension originally had two service areas, one each for the eastbound and westbound lanes, near EXIT 14A in Bayonne. These areas have since been closed. In 1995, the span over Newark Bay was officially renamed the Vincent R. Casciano Bridge. As a member of the New Jersey State Assembly representing Bayonne, Casciano petitioned state officials and the New Jersey Turnpike Authority for the Newark Bay Extension in the early 1950's. According to the New Jersey Department of Transportation (NJDOT), the Newark Bay Extension handles approximately 65,000 vehicles per day (AADT). The Turnpike Authority has recently embarked on a program of rehabilitating bridge decks and widening shoulders along the length of the extension. EXTENSION TO HOBOKEN AND FORT LEE? Beginning in the late 1950's, and continuing through the mid-1970's, the state of New Jersey planned to construct a north-south expressway to connect the Newark Bay Extension with the Lincoln Tunnel Approach (NJ 495). 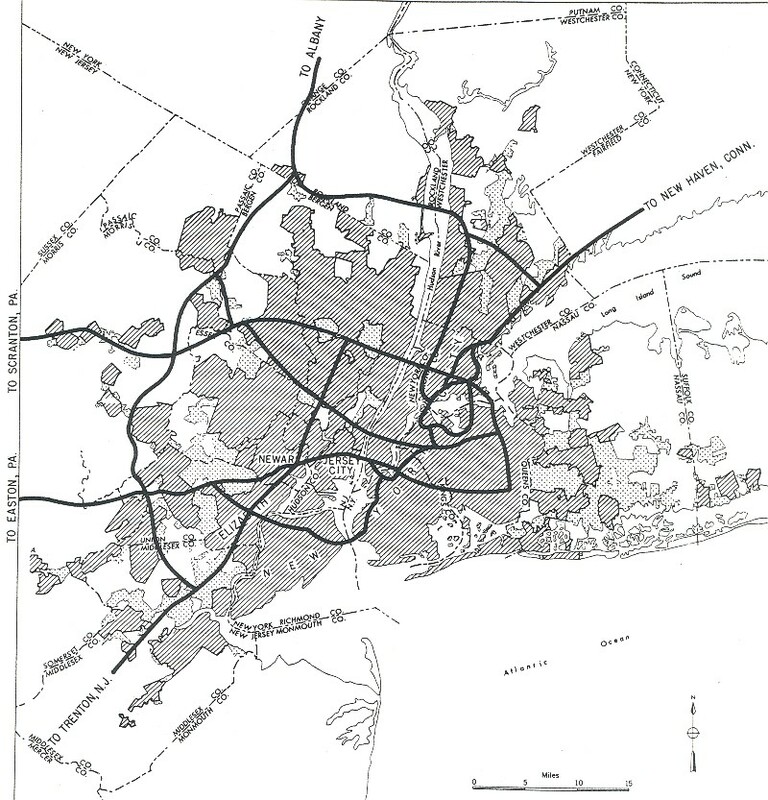 The NJ 85 Freeway project, which would have creating another bypass route between Jersey City and Fort Lee, never made it past the design stages. A DIRECT CONNECTION TO THE HOLLAND TUNNEL: Finally, a controlled-access connection should be constructed between the eastern terminus of the Newark Bay Extension (I-78) and the Holland Tunnel toll plaza. Currently, traffic between these routes must travel on signalized streets: eastbound traffic on 12th Street, westbound traffic on 14th Street. Overpasses should be constructed for cross traffic. SOURCES: "High Road from the Hudson to the Delaware" by Paul J. C. Friedlander, The New York Times (11/25/1951); "Built for Safety" by Armand Schwab, Jr., The New York Times (11/25/1951); "From Maine to Chicago Without a Traffic Light," The New York Times (11/25/1951); "Jersey Pike Spur Will Open Today," The New York Times (4/04/1956); "Bypass in Bayonne" by Joseph C. Ingraham, The New York Times (9/09/1956); "Interesting Facts About the New Jersey Turnpike," New Jersey Turnpike Authority (1956); Transportation 1985: A Regional Plan, Tri-State Transportation Commission (1966); Looking for America on the New Jersey Turnpike by Angus Kress Gillespie and Michael Aaron Rockland, Rutgers University Press (1989); "Sights, Sounds of a Turnpike Always in Motion" by Jeffrey Page, The Bergen Record (6/20/1999); "Welcome to the New Jersey Turnpike," New Jersey Turnpike Authority (1999); New Jersey Department of Transportation; Phil Case; Frank Curcio; Larry Lucchetti; Raymond C. Martin; Christopher G. Mason; Dan Moraseski; Mike Natale; William F. Yurasko. I-78 and NJ 85 shields by Ralph Herman. 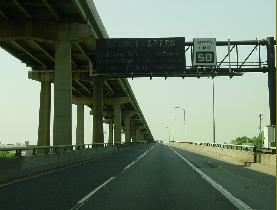 New Jersey Turnpike-Newark Bay Extension and I-78 (New Jersey) exit list by Ray Martin.